This volume continues the narrative account of the history of the kibbutz movement from the outbreak of the Second World War onwards. This period included a number of dramatic and complex developments: the effects of the world war and the Holocaust on the kibbutzim and their youth movements; the political struggles which led to the end of the British mandate; the War of Independence, including the role of the Palmach and the political controversy it engendered; the crises which followed the establishment of the State of Israel and the politics of the kibbutz movement in the early years of independence; and the kibbutzim’s gradual adaptation to their new position in Israeli society and to the problems and challenges of a multi-generational society in the late twentieth century. Although the detailed narrative ends in 1977 (when the Israeli political system, and the status of the kibbutz, underwent a radical change), it is followed by a detailed overview describing the many developments which took place between 1977 and 1995. Much of the material is new in any language, and virtually all is new in English. Throughout, economic developments, immigration and agricultural settlement, political and ideological issues, and internal social developments are presented as interdependent and as vitally affected by—and often affecting—the changing fortunes of the Jewish people, the Zionist movement, and the Jewish community in Palestine/Israel. But the kibbutzim are also presented as a special instance of a widespread social phenomenon: communal and co-operative societies. Henry Near was Professor Emeritus in the Jewish History and Education Departments at Oranim Academic College and the University of Haifa and had been a member of Kibbutz Beit Ha’emek since 1955. He was the author of The Kibbutz and Society, 1923–1933 (1984), Studies in the Third Aliyah, 1919–1924 (with B. Ben-Avram, 1995), and Living in a Kibbutz (5th edition 1991). 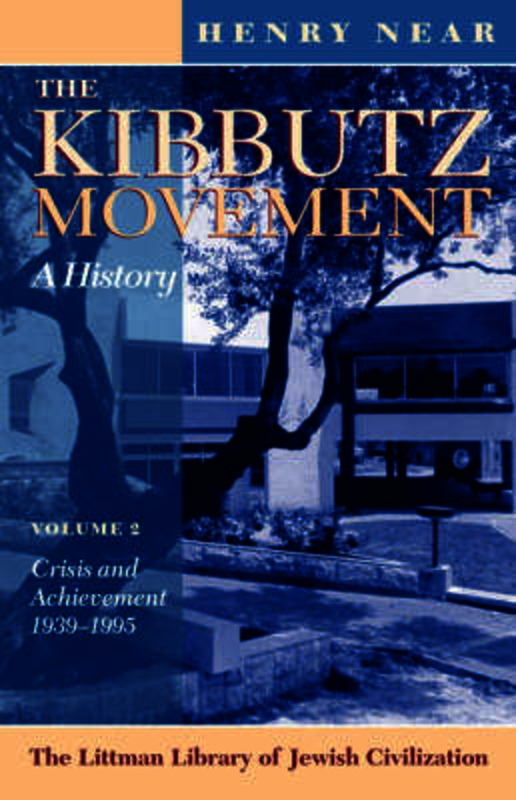 The prize-winning first volume of his history of the kibbutz movement appeared in 1992. He died in 2012.